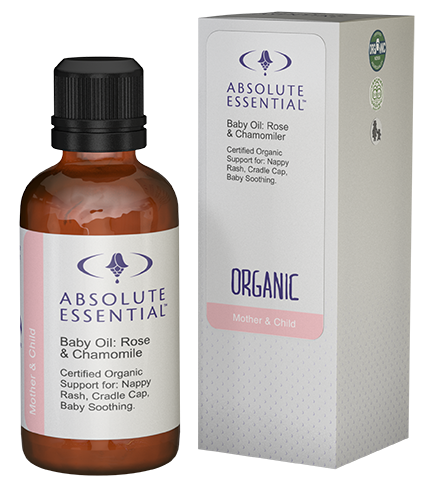 Baby Massage Oil: Rose & Chamomile offers the ultimate in gentle, nurturing baby care. Crafted with the exceptionally tender qualities of two of our finest medicinal plants, this is an all-purpose body oil to nourish the most sensitive of skins. 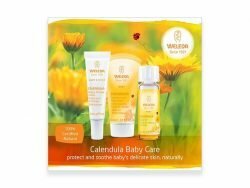 It offers the perfect complement to baby massage, with a fine-silk application and a mild natural fragrance with health-enhancing benefits. Baby’s skin is nourished and protected with organic ‘nature identical’ oils that support optimum healthy balance. And general use will help with common issues such as nappy rash (diaper rash) and cradle cap as safely and gently as possible. This blend is absolutely safe to apply on baby’s scalp to help soften and loosen the build up of old cells that create the common condition known as cradle cap. Ingredients: Almond Oil virgin (organic), Calendula Infused (organic), Jojoba Oil golden (organic), Lavender Sweet (organic), Wheatgerm Oil, Myrrh (wild), Chamomile Roman (organic), Rose Maroc.